Located on Avenida Diagonal, Fairmont Rey Juan Carlos I offers easy access to the airports, the harbor, and train stations. The hotel is also surrounded by major attractions such as the famous Camp Nou stadium, the Barcelona Polo Club and the financial district, as well as restaurants, bars, and shopping. 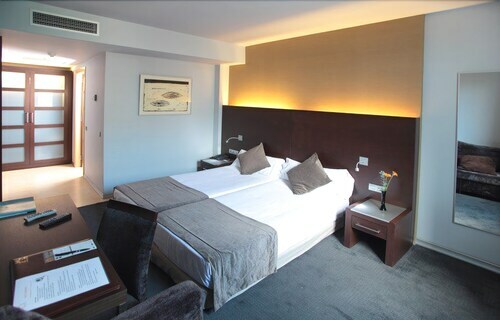 Located in Les Corts, this hotel is within 1 mi (2 km) of FC Barcelona Museum and Camp Nou. Placa d'Espanya and Poble Espanyol are also within 2 mi (3 km). Collblanc Station is only a 3-minute walk and Badal Station is 6 minutes. 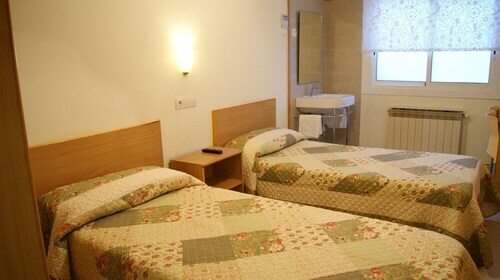 Located in Collblanc y La Torrassa, this hostel is within 1 mi (2 km) of FC Barcelona Museum and Camp Nou. Placa d'Espanya and Fira Barcelona are also within 2 mi (3 km). Collblanc Station is only a 2-minute walk and Badal Station is 7 minutes. Located in Les Corts, this pension is within 1 mi (2 km) of FC Barcelona Museum and Camp Nou. Placa d'Espanya and Poble Espanyol are also within 2 mi (3 km). Collblanc Station is only a 5-minute walk and Badal Station is 6 minutes. Located in Collblanc y La Torrassa, this hotel is within 1 mi (2 km) of FC Barcelona Museum and Camp Nou. Placa d'Espanya and Poble Espanyol are also within 2 mi (3 km). Collblanc Station is only a 2-minute walk and Badal Station is 7 minutes. Located in Les Corts, this hostel is within a 10-minute walk of Camp Nou, Palau Blaugrana, and FC Barcelona Museum. Badal Station is only a 5-minute walk and Collblanc Station is 6 minutes. Located in Les Corts, this hotel is within 1 mi (2 km) of Hospital Universitari Quiron Dexeus and Camp Nou. Placa d'Espanya and Hospital Clinic are also within 2 mi (3 km). Les Corts Station is 5 minutes by foot and Maria Cristina Station is 11 minutes. 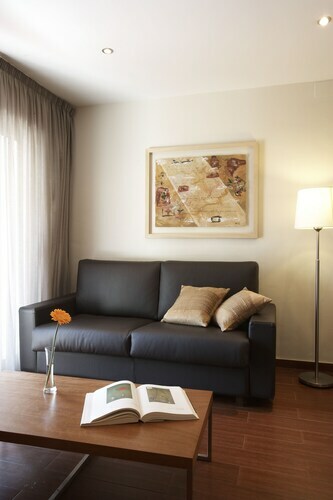 Located in Les Corts, this aparthotel is within 1 mi (2 km) of FC Barcelona Museum and Camp Nou. Placa d'Espanya and Poble Espanyol are also within 2 mi (3 km). Collblanc Station is only a 2-minute walk and Badal Station is 6 minutes.